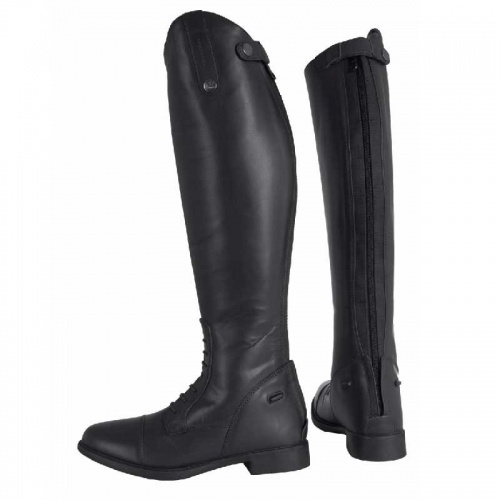 These Black Leather Competition boots from Horka feature a full length (right down the heel) rear zip making them easy to put on and take off. Design features front lace panel for snug ankle fit. Please note these are only available in store - at these prices we will not be taking returns. This does not effect your statutory rights.